The 1948 hostilities [see PAL] following the establishment of a Jewish state in Palestine ended with UN-supervised armistice agreements. When the British Middle East Command withdrew from the Suez area, fedayeen (Arab guerrilla) raids and Israeli reprisals intensified. Israel moved toward military action in the face of the Arab economic blockade, Egypt's Soviet-bloc arms deal of 1955, and US and British failure to give either security guarantees or arms assistance (provided chiefly by France until then). 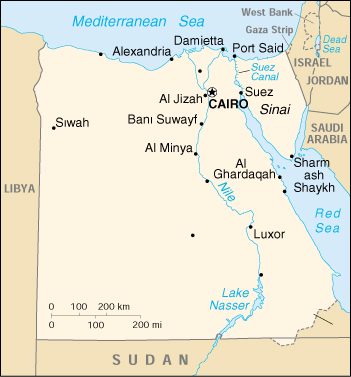 French and British determination to reverse Egypt's nationalization of the Suez Canal provided an opportunity to coordinate military planning, in secret arrangements that included Israel.